The top court said this upholding the plea by one Mohammed Salim. He was born to Mohammed Ilias and Valliamma, and court described him as their legitimate child. 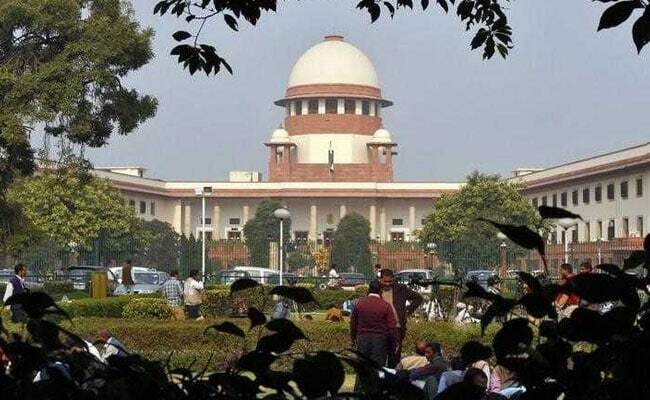 Islam considers marriage between a Hindu and Muslim as "irregular"
The Supreme Court on Tuesday said that although the marriage between a Muslim man and Hindu woman is an irregular marriage, described as "fasid" in Mohamadan law, the children born out this wedlock are legitimate and have claim over the property of the father. "The marriage of a Muslim man with an idolater or fire­worshipper is neither a valid (sahih) nor a void (batil) marriage, but is merely an irregular (fasid) marriage. Any child born out of such wedlock (fasid marriage) is entitled to claim a share in his father's property," observed the bench of Justice N.V. Ramana and Justice Mohan M. Shantanagoudar in their judgment. Upholding an order of the trial court and that of the Kerala High Court, Justice Shantanagoudar speaking for the bench said: "It would not be out of place to emphasise at this juncture that since Hindus are idol worshippers, which includes worship of physical images/ statues through offering of flowers, adornment, etc., it is clear that the marriage of a Hindu female with a Muslim male is not a regular or valid (sahih) marriage, but merely an irregular (fasid) marriage." Having held that a child born out of Hindu mother and Muslim father is legitimate and has claim over the property of father, the court said: "The position that a marriage between a Hindu woman and Muslim man is merely irregular and the issue from such wedlock is legitimate has also been affirmed by various high courts."